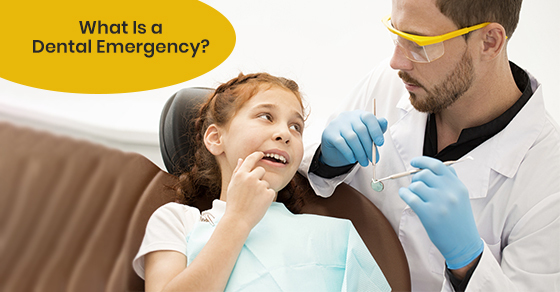 What is considered to be a dental emergency ? Is it a broken tooth, broken dentures, an avulsed or knock out tooth, uncontrolled pain from a tooth ache or a dental abscess, uncontrolled intra-oral bleeding or hemorrhage, an orthodontic dental emergency, an infected tongue piercing, unexplained sudden or chronic changes in tooth colour, gum or gingival colour, or texture, a veneer or crown that had been dislodged, a mobile dental implant, a foreign body embedded in the intra-oral soft tissue or between the teeth, non healing intra-oral ulcerations, a broken orthodontic retainer to name a few? The answer, at least according to the dental emergency patient is any situation which motivates them to call or walk-in seeking dental emergency service. There are life threatening dental emergencies involving uncontrolled intra-oral hemorrhage or rapidly propagating intra-oral infections which risk compromising the airway or becoming systemic or spreading along facial planes, infections which can even potentially breach the blood brain barrier. Then there are relative dental emergencies such as broken restorations which may become uncomfortable either from a functional or a cosmetic or psychosocial aspect. Our clinic recommends booking an appointment where ever possible as opposed to a walk in dental emergency. The telephone conversation allows for some discussion and triage of what the caller believes to be the dental emergency. What, where, when, why, how long and financially how much, are inquiries often addressed before the dental emergency patient even decides to visit the office. However walk-in patients seeking dental emergency services are very common as well. The contact information about a dental emergency clinic is increasingly gleaned online in today’s society rather than by referral . Online searches such as “dental emergency, emergency dentist, dentist that accept social services such as OW, IFH and ODSP, afterhours dentist, walk in dental emergency, emergency dentist open Sundays or emergency dentist open on weekends, emergency dentist open holidays, emergency wisdom tooth extractions, emergency orthodontic, emergency endodontics ( root canals), treatment for dental abscesses, emergency denture repairs, emergency dentist emergency dental pain prescription, emergency dentist near me, emergency dental clinic near me, just to name a few are common with respect to patients with a dental emergency.